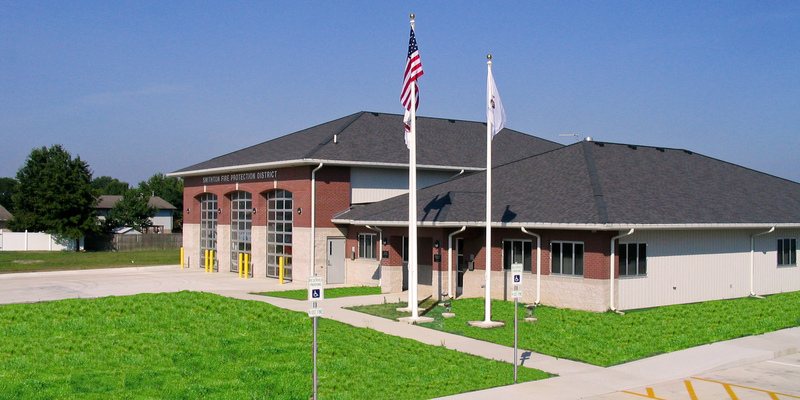 Smithton Fire Station - St. Louis Engineering Firm | Thouvenot, Wade & Moerchen | TWM, Inc.
We provided fire station design services for the Smithton Fire Protection District when they decided to build a new facility. Initially our services included site surveying and we conducting record research and title review. After these portions of the project were completed, we prepared a detailed boundary and field topographic survey so we could begin our civil engineering site design. Other aspects to this project included: preparation of the site plan for the three-apparatus bay fire house, preparation of the grading and erosion control plan, storm sewer system and storm water detention design, design of the sanitary sewer and potable water services, and coordination of electric and gas to the site. TWM also provided construction staking services.